Dr. Boehne is honored to have been named one of the Top 40 Under 40 Dentists by Incisal Edge Magazine. In its fall 2017 edition, Incisal Edge, the leading lifestyle magazine for dental professionals nationwide, celebrates America’s finest young practitioners for their achievements in dentistry. 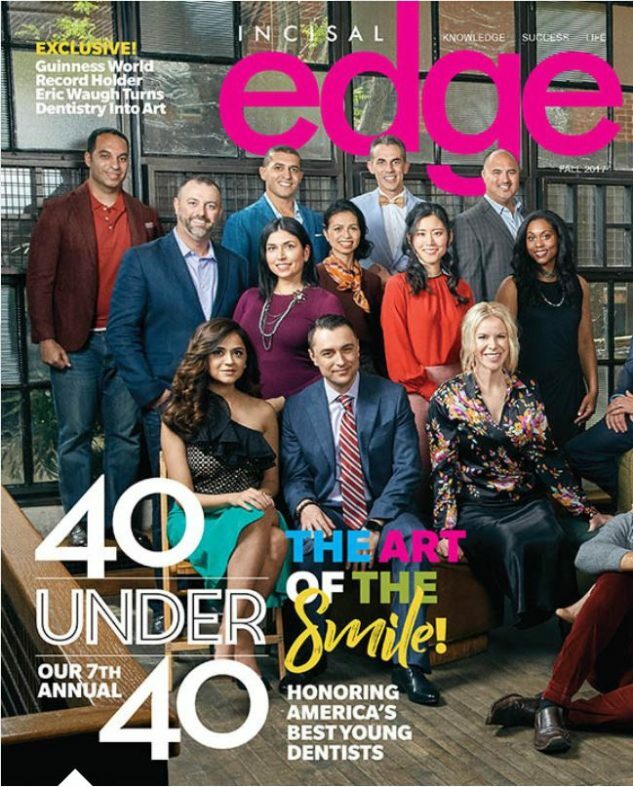 Incisal Edge celebrates dentists’ achievements both inside the operatory and during their hard-earned downtime — and nothing better exemplifies this than the magazine’s annual 40 Under 40 edition, a series of informative profiles of the finest young practitioners in the dental profession. Whether they’re renowned for their medical innovations, their volunteer work and philanthropy or simply their commitment to outstanding patient care, these 40 honorees— nominated by industry experts from around the country and vetted by an independent panel — represent the best of dentistry today, and the promise of even better dentistry tomorrow. Dr. Boehne shares the cover of the 2017 fall edition of Incisal Edge with some of the country’s best dentists.